Halloween is only 5 days away! F-I-V-E! If you're anything like me, you know Halloween comes with temptation after sweet temptation! I see the candy stacked in the stores and it makes me cringe knowing that my kids are going to be bringing that stuff home soon! Thinking of the times when I've fallen victim to MY OWN poor choices of thinking "I'm just going to have ONE mini candy bar"...12 "mini" candy bars later. Can you relate? The "Candy Hangover"? The one that keeps you in your yoga pants on November 1st instead of your skinny jeans? The one that leaves you saying, "ugh, I don't feel too good!" Well...it can be different this year. You don't have to feel defeated and like a Halloween candy failure. Here are some tips for you to take with you to Halloween, armed and ready to conquer this candy fest they call a holiday!! It all starts NOW, your mindset will dictate your results and outcome of Halloween. There will be candy leading up to Friday and thereafter as well! Don't throw this week out just because you're leading up to Halloween. Focus and change your mindset! So...what can you do NOW to prepare for Halloween? Here are some tips to get you thru the week! 1. DON'T BUY YOUR FAVORITE CANDY! I used to always think my parents were "cheap" when buying candy for Halloween. We always got the mixed bag of stuff I hated! Which in all reality, my mom knew that if she had the chocolate in the house, she'd eat it!! So...lesson learned!! You know your weaknesses, you know what your favorite candies are, so why tempt yourself buy buying what you love the most? 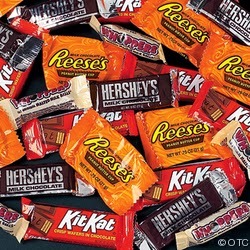 I know I won't be having Reese's, Kit-Kats, or anything dark chocolate in my house to give out!!! It just doesn't measure up! 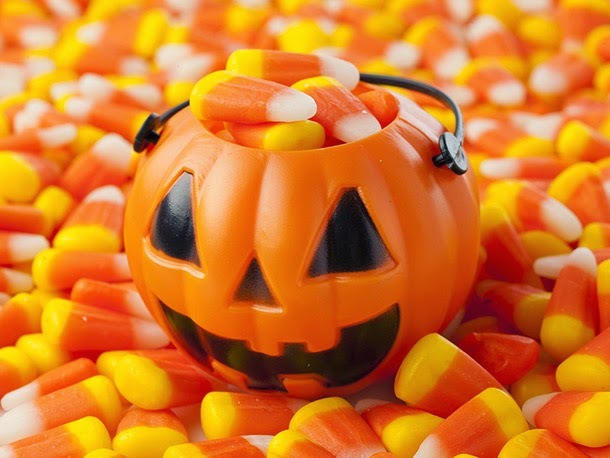 If you have extra candy in the house, all of which is your favorite kind, what do you think you'll want to do? Yep, eat it!! So just don't go there, it's simple! This year I'm going to opt for the mini bags of pretzels! Kids get tons of candy so why do they need more? Problem solved!!! There is no reason to keep a candy dish out on your coffee table just because it's that time of the year! If it's there in front of you, you'll be so much more likely to grab it and chomp down on some candy while you're watching TV. I don't even open our candy we give away until we are ready to walk out the door or until our first Trick-or-Treater comes to the door! If you don't see it, you're far less tempted to reach for it! If you are really wanting to make sure you stay on track this week, commit to writing everything down that you eat. There are great apps for this that you can download and add in your phone, or simply just a pen and paper does great! Make note of every piece of food, candy, beverage you put into your mouth and really hold yourself accountable to what you're eating. Most likely you'll eat less because so much of it that we do throughout the day is mindless eating anyways...especially when it comes to Halloween night!! Before you know it you've had 10 pieces! There are so many healthy alternatives to piling in the junk and candy that Halloween and holidays bring. Yes, you may need to be a little more creative, but it will certainly pay off in the end! Here are some healthy treats you can try if you've just got to have that sweet tooth fulfilled! Dark Chocolate Flourless Brownie Muffins These are amazingly delicious...be careful, you may not be able to just eat one! Shakeology Power Balls - Super yummy...again, gotta make sure you don't pop too many. But...enjoy! Try freezing them and when you need a quick treat grab just ONE!! Flourless Blondie Cookies - Once again, DELICIOUS and a great alternative to cookies!! Air Popped Popcorn - always a delicious treat!! If you want to change you are going to have to give up a little to get a lot of good! 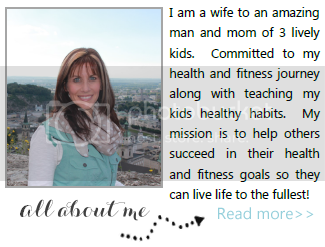 Want an extra level of accountability? 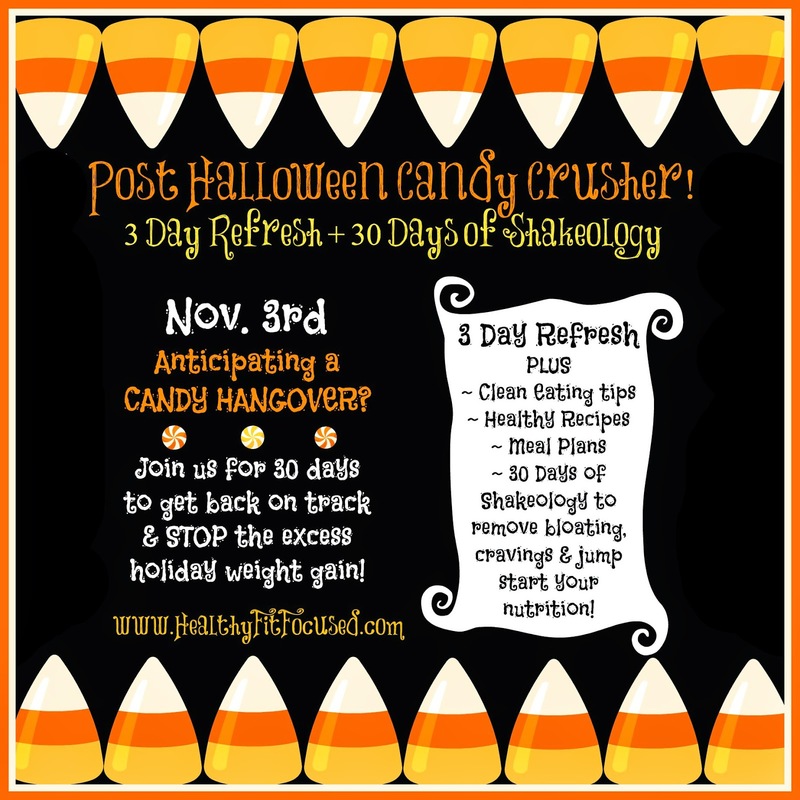 Join my Halloween Candy Detox Challenge Group to help you get focused after halloween and make it to Thanksgiving with a whole new box of tools to use! Nice post. I like your post. Thanks for sharing.